The Games on Demand version supports English, French, Italian, German, Spanish, Japanese. 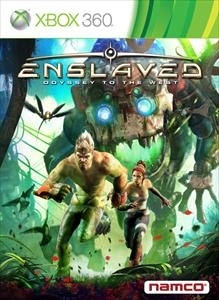 Download the manual for this game by locating the game on http://marketplace.xbox.com and selecting "See Game Manual". Follow a gripping, surprise-filled journey as two dissimilar characters form an uneasy partnership in order to survive through a perilous, post-apocalyptic America where few humans are left and nature has reclaimed the world. Play as Monkey, a strong brutish loner who has been captured by a mysterious slave ship. Trip, a technologically savvy young woman and fellow prisoner, hacks a slave headband and commands Monkey to help her get home. If she dies, he dies, and her journey has now become his.